Time and again we have actors crossing the Vindhyas to try their luck in the Hindi film industry with varying results. This week it is the turn of Vikram, the National Award winning Tamil superstar who will be seen in Bejoy Nambiar’s bilingual “David”. Set in three different time periods, the film is about three Davids fighting their Goliaths. Vikram’s “Anniyan” did good business in its dubbed version and he was appreciated for playing Dev in Mani Ratnam’s “Raavan”. In fact, it was his natural performance which was held responsible for highlighting the lacunae in Abhishek Bachchan’s efforts in playing the title role. He maintains that language plays an important role. “Now that I know Hindi and even dubbed myself it was difficult for me to shoot the same scene simultaneously in Hindi and Tamil. 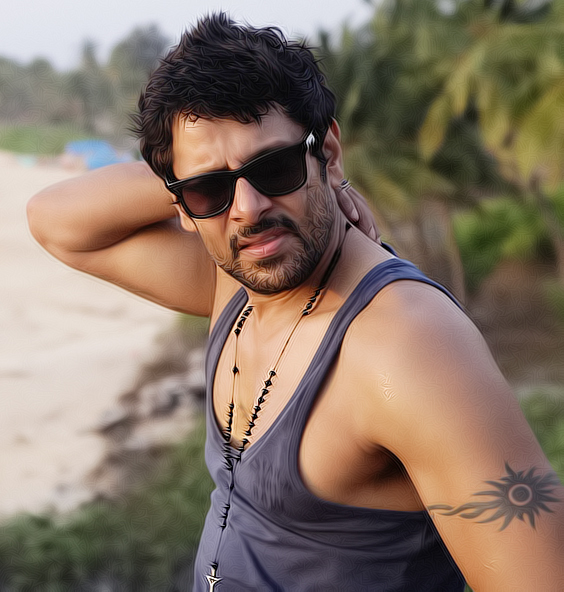 There were times when after shooting a scene in Hindi I found myself completely blank while doing the same thing in Tamil perhaps because I was thinking in Hindi.” Vikram holds he is not the only one presenting an amalgamation of actor and star. “I think a lot of people are trying. I like what Vidya Balan, Abhay Deol and Farhan Akhtar are doing.” With “Vishwaroopam” getting delayed because of the ban, now three big Tamil films are scheduled to release on the same date. “I feel one of the films might release at a later date. It is a producer’s call but I have full faith in ‘David’. Even if it releases a week later it will attract the attention of cinegoers,” he signs off. I don’t watch many Hindi films but my mother does. I only catch up with hit films. “Aradhana” was the first Hindi film that I watched. Then I enjoyed “Yaadon Ki Baarat”, “Sholay”, “Qayamat Se Qayamat Tak”, “Maine Pyaar Kiya”, all the hits. I never listened to the language just observed the performances. More than the films, Hindi film music has been an influence. I don’t understand completely but I enjoy the tunes. My mother introduced me to Hindi film music when she gave me the cassette of Mukesh’s songs. It was a collection of songs that Mukeshji performed in the US on his last trip to the country. It moved me a lot. For a long time I didn’t know about Mohammad Rafi or Kishore Kumar. To me Mukesh was the singer in the Hindi film industry. When I told this to Neil he was so touched. He breaks into “Sawan Ka Mahina”…. I think he did a great job and it was such a big hit. If I had done it nobody would have seen it! I think people should understand that some changes could be done to see that the film is released. If there are certain scenes which are objectionable I think people can sit and sort out the matter. After all Kamal Haasan has made the film for the love of cinema.